The pilot-shortage crisis at Alaska Air subsidiary Horizon Air continues after multiple flight cancellations. The airline is contracting with SkyWest as well as bringing in Alaska Airlines jets to handle hundreds of flights in the fall. 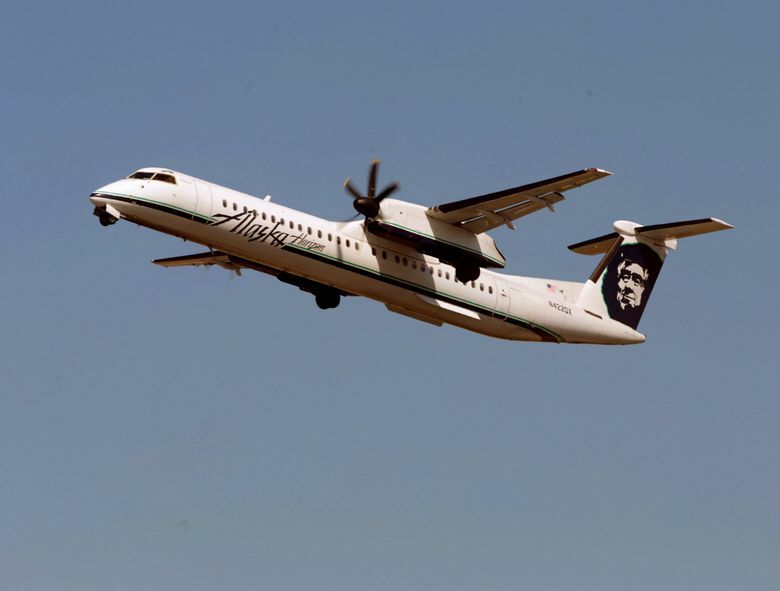 Following the cancellation of hundreds of flights affecting thousands of passengers this summer due to a pilot shortage, the crisis at regional airline Horizon Air is set to continue into the fall. Because Horizon, a unit of Alaska Air Group, doesn’t have enough pilots qualified to fly its Bombardier Q400 turboprop aircraft, management is cutting hundreds more flights in September and swapping in aircraft from an outside contractor and from the mainline Alaska Airlines fleet to backfill the holes in the schedule, according to internal memos obtained by The Seattle Times. He said the details are still being worked out. However, he estimated that the multiple flights flown daily by four to six Q400s — about 10 percent of its 52-strong fleet — will have to be cut from the Horizon schedule in September. Joe Sprague, senior vice president of external affairs at Alaska Air Group, said in an interview that the airline hopes to minimize the impact on passengers who have already booked tickets by flying Alaska Airlines 737 jets or regional carrier SkyWest Bombardier CRJ aircraft in place of the Horizon Q400s. Sprague said those aircraft swaps may not matter much to passengers, although they might see a schedule shift if, say, one large Alaska 737 substitutes for a couple of Q400 flights. Horizon, which carries passengers on shorter flights throughout the Pacific Northwest and beyond, canceled more than 318 flights in June. Then, realizing drastic action was needed, the airline canceled in advance 6.2 percent of its August flights, affecting 17,000 passengers. Throughout July, Horizon has been working its schedule day-to-day, trying to handle any cancellations with at least a couple of days’ notice, Sprague said. Some passengers have reported a great deal of inconvenience from the tumult. Seattle resident Steve Breaux said he and his wife were left stranded overnight in Reno while returning from a July 4 break in Lake Tahoe, when their Horizon flight to Seattle was canceled. Both Breaux and his wife missed work as a result. The airline later offered each a $400 voucher toward future flights. Bringing in outside planes is intended to minimize the number of such bad travel experiences. In an internal memo to Horizon cabin crews last week, Kieran Whitney, director of Crew Resources at Alaska Airlines, said that starting in September, SkyWest will supply up to six Bombardier CRJ 50-seat or 70-seat regional jets to fly in place of the Q400s, which seat up to 76 passengers. He listed 21 daily round trip flights between Seattle, Portland, Spokane and Boise where the SkyWest jets will be substituted for Horizon planes. That means Horizon cabin staff will have less work, which the company hopes to handle by offering unpaid leave and part-time work to employees who volunteer. “We’re not planning any furloughs,” said Sprague. Alaska Air’s Sprague characterized the crisis at Horizon as short-term, saying the company has about 60 trainee pilots going through induction classes this summer who should be available to fly by December. In the meantime, Horizon is offering “200 percent premium pay” to pilots who fly extra flights beyond their normal schedule, though still within Federal Aviation Administration (FAA) regulations. The airline has also boosted its recruiting staff and is working with aviation schools on recruitment. And it offers hiring bonuses of up to $20,000 for Q400 pilots to join the company — $15,000 at completion of two months of training and $5,000 more after a year of service. On a June internal “pilot chat” with Horizon staff, LaMar Haugaard, director of the airline’s pilot development and recruiting, outlined another “creative” approach that could help to recruit pilots longer-term. One of the hurdles that slows the hiring of pilots is the current U.S. requirement that pilots must have 1,500 flight hours of experience before they can fly for a passenger airline. The FAA introduced that requirement following the 2009 crash of Colgan Air flight 3407, a Q400 aircraft. That tragedy in upstate New York killed 50 people and an investigation found significant pilot error. The argument for such a change is that time in a sophisticated simulator that replicates the flight deck of a large airliner could actually be more valuable than flight hours in a small private plane. Haugaard outlined another workaround to the U.S. rule that Horizon is considering. He said Alaska Air is in discussion with “a major international airline” about a plan to have prospective pilots go overseas, “operating under different rules,” and build up their 1,500 flight hours flying for the foreign airline in a Bombardier Q300 turboprop, an earlier variant of the Q400, then returning to the U.S. to fly for Horizon. Sprague said this is “not a plan that’s been finalized” and declined to discuss it in detail. However, he said the company is considering all options to expand the pool of qualified pilots. “We really are trying to be thoughtful and creative and appropriately aggressive to ensure we have a steady pipeline of new pilots coming to Horizon Air,” he said. Airline-pilot unions contend that the pilot shortage is largely due to the low pay at regional carriers like Horizon and the limited options to transfer to better-paid jobs flying for bigger mainline carriers. Though starting pay at Horizon has been increased from $30 an hour to $40 an hour, pilots are paid only for flight time. FAA rules limit pilots to a maximum of 1,000 flight hours for any 365-day period, so that’s a ceiling of $40,000 a year. The financial impact of the Horizon pilot crisis on Alaska Air Group has not been disclosed, but it comes at the same time that Alaska is working to absorb its largest-ever acquisition, the $2.6 billion purchase of Virgin America. Alaska Air Group Chief Executive Brad Tilden will be pressed to provide more information about Horizon’s plans to deal with the ongoing flight schedule problems on Wednesday, when the company releases its second-quarter earnings. Information in this article, originally published July 24, 2017, was corrected July, 27, 2017. A previous version of this story overstated the standard maximum pay for a Horizon pilot at the airline. The yearly limit of 1,000 flight hours sets a ceiling of $40,000 a year.